Clash! was a game made to supplement my senior project in late 2015, exploring video game development as a rising artistic medium and as a culmination of various forms of storytelling and artistic expression. Due to the time constraints involved and the limitations of Scratch, the game still has many glitches and bugs, which I currently have no plans to fix. 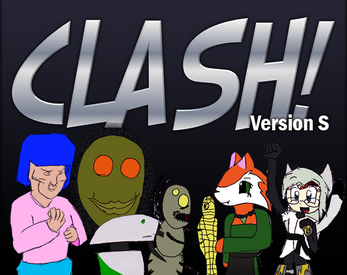 However, I plan to build a new version of Clash! one day with another language and engine more suitable for gaming and sharing, with more fighters, stages, and possibly a story mode.